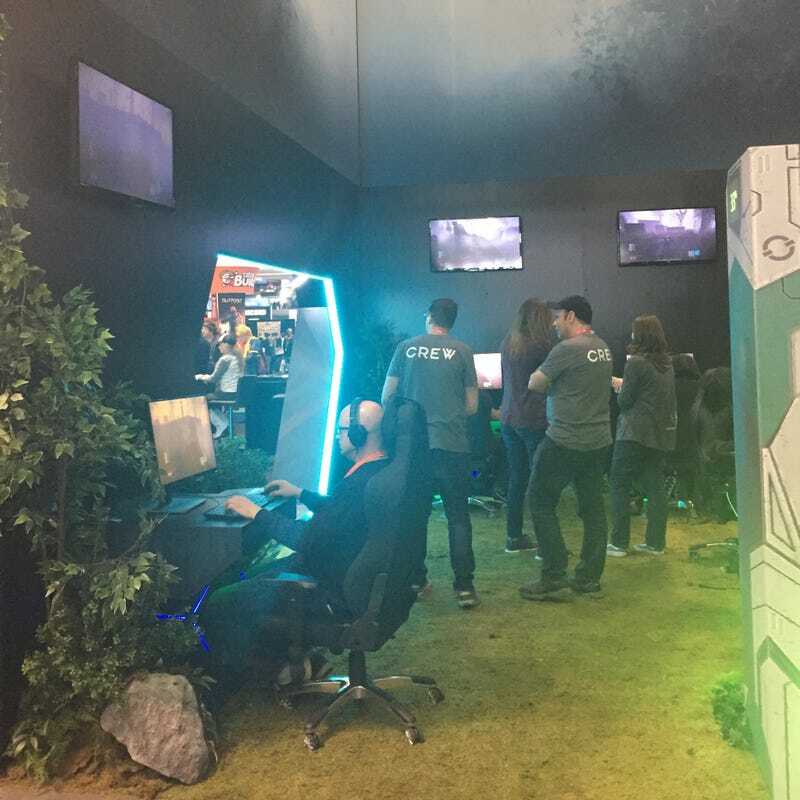 The most topiary-packed booth at PAX East hosts Deathgarden, Behavior Interactive’s newly announced multiplayer action blood sport game. The greenery of this garden is not alive. It never was. Plasticgarden.